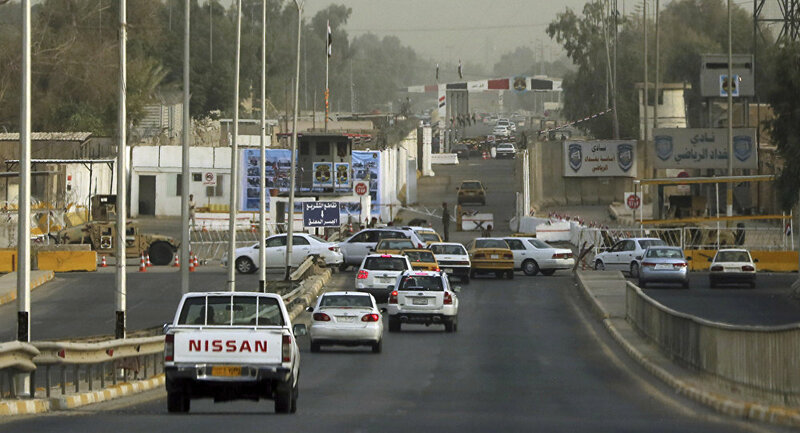 The Iraqi government has opened the streets of the Green Zone (fortified compound for government and foreign missions in Baghdad) temporarily and experimentally starting next Monday for two weeks. Cairo - Sputnik . Iraqi Prime Minister Adel Abdul Mahdi on Saturday opened the streets of the Green Zone (the fortified compound of government and foreign missions in the capital Baghdad) temporarily and experimentally starting from next Monday for two weeks. A statement by the Secretariat of the Iraqi Council of Ministers, published on Facebook, "the Prime Minister, Mr. Adel Abdul Mahdi, and coincided with the celebration of the Iraqi Victory Day on the organization " calling " terrorist (prohibited in Russia) and the liberation of our pure land, the gradual opening of the streets of the Green Zone , As of Monday, 10 December from 5 pm to 10 pm, and for two weeks during which the experiment will be evaluated and expanded to ensure the welfare of the citizens.